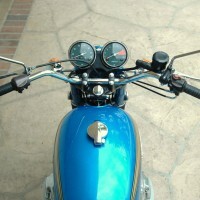 Restored 1975 Kawasaki Z900 Motorcycle. 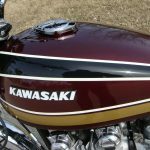 This Kawasaki was fully restored by its owner in the USA. 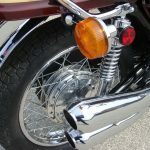 Nearly every piece on the bike was rebuilt or replaced. The frame was powder coated along with everything else that was black including the battery box, foot pegs, triple trees and kick stand. 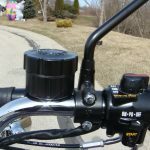 The swing arm bushings were upgraded to needle bearings. New reproduction bodywork was fitted. 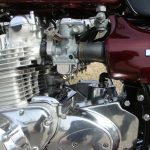 The motor had a complete overhaul. 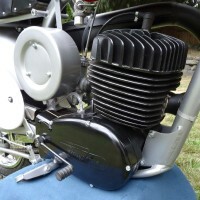 The cylinder head was fitted with new exhaust guides, springs and seals. All new gaskets and seals were used on the rest of the engine. 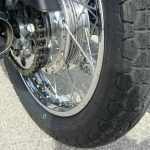 A heavy duty cam chain was fitted. Second gear was cut and refreshed. The engine was glass blasted. New intake boots were fitted. 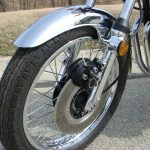 Most of the chrome items were re-plated including both fenders. The wheels rims were plated and rebuilt with new spokes. 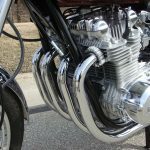 The engine covers and fork legs were polished. 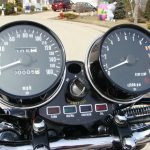 The gauges were professionally restored. 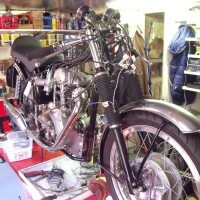 A brand new exhaust system was fitted. A new front master cylinder was installed. The brake caliper was rebuilt with new seals. 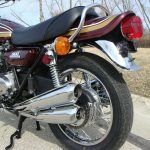 An impressive restored 1975 Kawasaki Z900 Motorcycle. 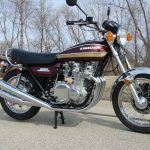 Kawasaki Z900 – 1975 For Sale or Wanted? 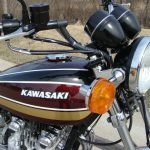 If you're looking for the perfect Kawasaki Z900 – 1975 for sale then take a look at the hundreds of restored classic motorcycles listed on our extensive Motorcycles For Sale pages. 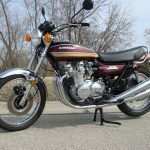 We regularly feature very nice restored Kawasaki Z900 – 1975 bikes for sale. 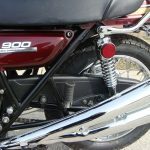 Spares and Parts for your Kawasaki Z900 – 1975? 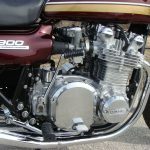 Workshop Manual for your Kawasaki Z900 – 1975? Looks like a lot of fun. I rode bikes all through the 80”s and early 90”s. I had the fastest of the day. 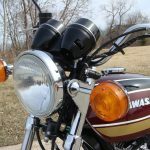 Kawasaki 900 Ninja. Honda CBX. 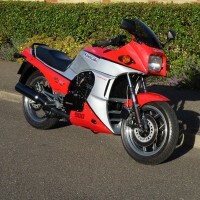 Yamaha RZ 350. 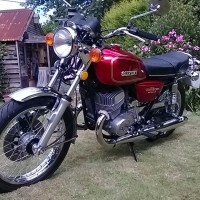 Moto Guzzi. 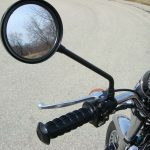 I stopped riding because I didn”t think it was a good idea with small children to care for. Last June, I purchased a scooter. Well, it”s more of a motorcycle styled like a scooter. 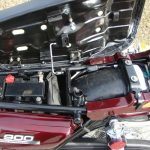 2009 Piaggio BV500. I am having more fun with this than I ever had with the high power machines. It has 16 wheels for stability. CVT, so all you do is twist the throttle. No clutch to hold. Triple-disc Brembo brakes. It will go 100 mph, and it is very quick. Believe me. At my age, I don”t have to have the latest back breaking sport ride to have fun. Scooter Man don”t need no Ninja. 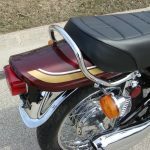 Also, have you seen the little pad that those bikes have for a passenger? Scooter Girl won”t ride with me on one of those. And, I have a large trunk under the seat. This model was designed for touring, and I know of people who take them on 3K mile rides. It is a blast.